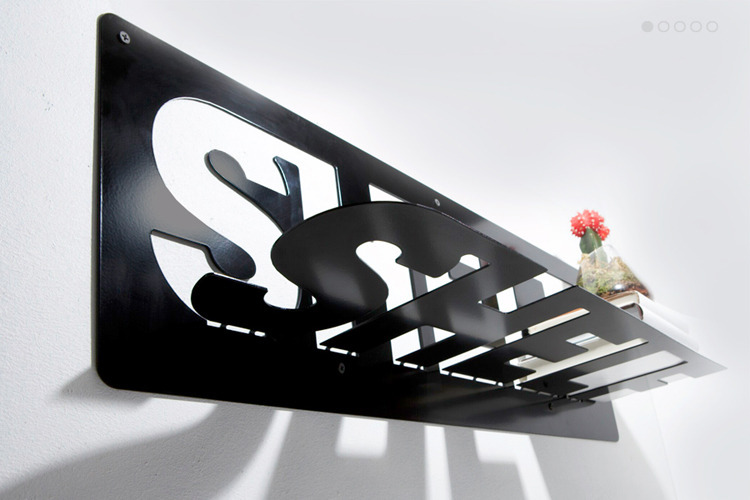 Typeshelf brings typography into product design by using the word as the object. 2D cut out letters on stainless steel are bent along the perforations at the bottom to form the "shelf". The material characteristics of steel provides a sturdy platform for books etc. without requiring additional hardware.